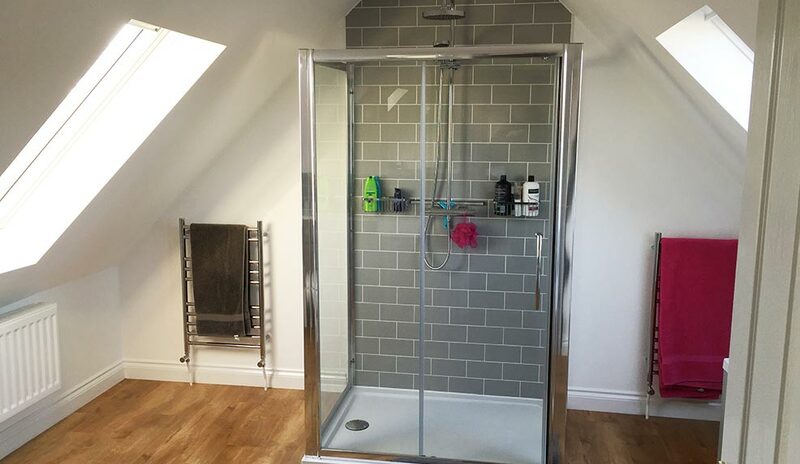 Loft conversions are perfect for homeowners who wish to add both extra space and value to their homes. We are highly experienced with working in the loft conversion industry and know first-hand the difference that a converted loft provides to a property. For those of you who like the idea of extra space, but don’t fancy moving house, we will be talking about some of the reasons why you should consider having your loft converted. Moving house entirely is not the only way to create extra space. Here are some factors that may swing you in favour of a loft conversion. Less Disruption – Moving home is a huge process which causes lots of disruption for those involved. We have developed a unique loft conversion process that allows us to gain access to your loft through the roof – leaving you free to go about your normal routine undisturbed by the work we’re doing above your heads. Price – Moving home is an expensive process, before you can even move your belongings, there are various different legal fees you will have to pay, on top of the cost of actually purchasing the other property and paying tax on the purchase. Having your loft converted will save you the time, stress and costs of moving house. Creative freedom – Having your loft space converted gives you creative freedom, meaning you can decide what purpose the space will serve. There are many different uses you can choose for your loft space and the design options are pretty much endless. House Prices – House prices are seemingly always rising and their values are also always changing. In Norwich over the last 10 years, the average price paid by buyers has increased from around £209,000 to £254,000. Moving house is a much more expensive process nowadays, making a loft conversion much more affordable. We have plenty of experience in the loft conversion industry, over 40 years between us. In this time, we’ve converted countless lofts and have seen how they are extremely beneficial to properties. When it comes to your loft conversion, the creative choices are yours. Unlike other companies, we are capable of handling every aspect of your loft conversion ourselves. From accessing your loft, right through to painting and decorating the conversion, we can cover it all. Choosing to have your loft converted is also a big commitment to make, but is very worth-while as having your loft converted adds as much as 22% to the value of your home. We understand how much of a commitment having your loft converted is and that’s why we’re always honest and upfront about the cost. We will provide you with a fixed price quote for the whole job, which will stay fixed. Interested in having your loft space converted? We are experts. Call us on 01953 452269 or email us on enquiries@angliancarpentry.co.uk.